Start to lay your mat using the adhesive strips on the mat. Cut the mat backing to turn the mats back and forth to cover your area. You may have to release the cable from the mat for more awkward areas. The mat can be laid cables facing up or down. Although our mat lies very flat, make sure the mat is well adhered to the sub-floor and use gaffer tape to stick down any end cables of the mat should they stick up. Cover the mat in self leveling compound (flexible). Use flexible adhesive and tile. When installing mat systems you must make sure you do not order too much. When you have ordered the correct sized mat clean the floor to make sure it’s clear of dust. It’s a good idea to apply some tilers primer (Not PVA). Now start to plan where the mat will go in the layout of your room. 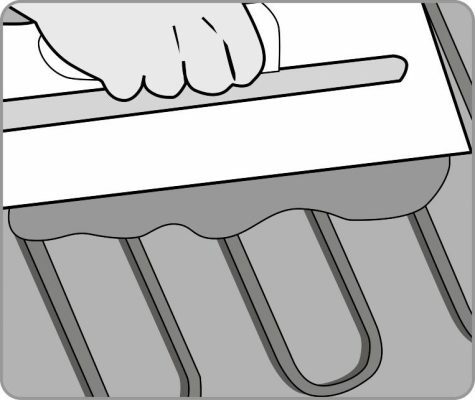 When you start to lay the mat we recommend that when installing the mat system you do so with the cables facing upwards. 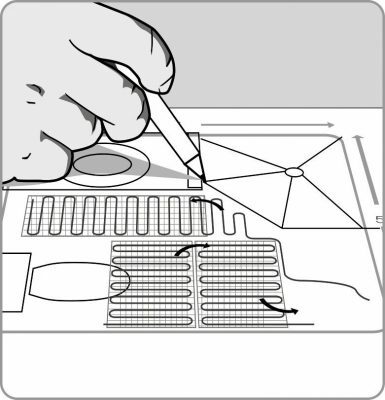 The Warmtoes 2mm mats have a sticky mat backing. 2. When the mat is rolled out and you come to the end of your run, simply cut the mat backing (never the wire) and turn the mat. Repeat this process back and forth until you have covered your floor. 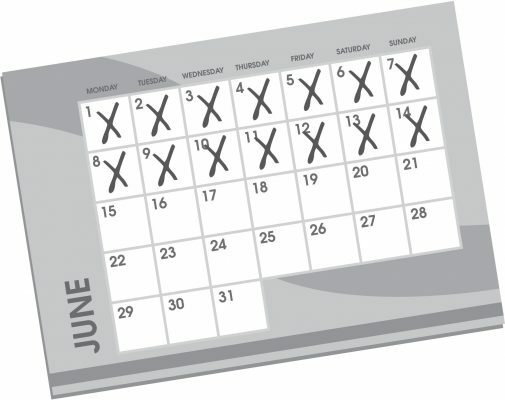 WAIT 14 DAYS before using the heating. 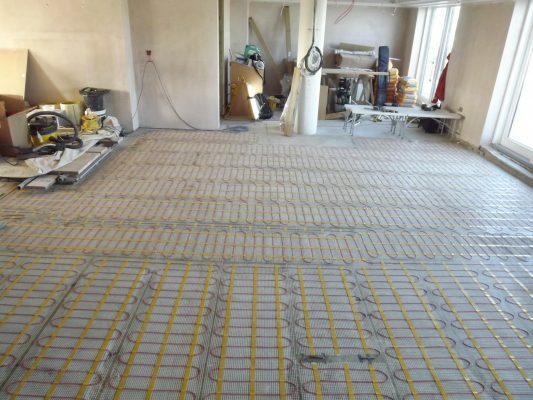 Installing mat systems is generally quicker than loose wire underfloor heating. When the mat is installed we then recommend applying a layer of self levelling compound. This acts to protect the mat when installing tiles. 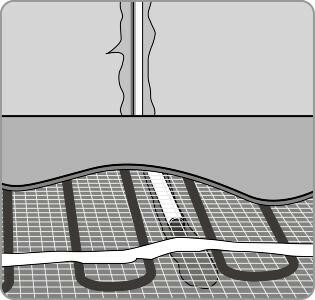 Should a tile be damaged in the future you will be able to replace the tile without damaging the underfloor heating beneath it. 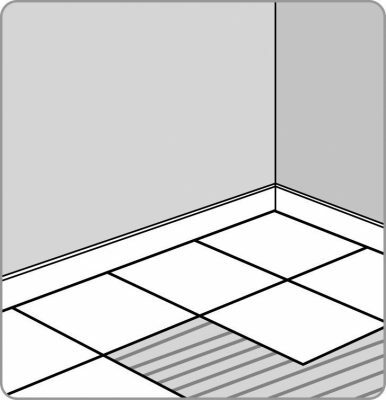 If you wish to keep the floor height low you can tile directly on top of the mat. Now install the tiles using flexible adhesive. 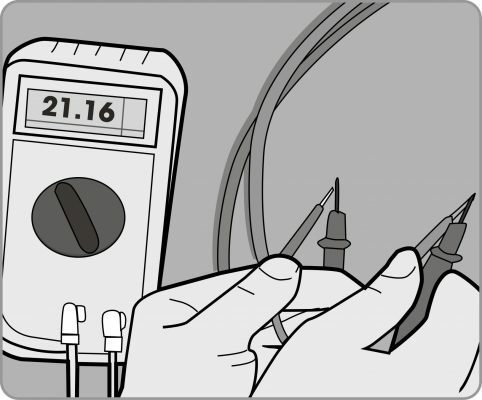 You must wait 10 to 14 days before you can turn the heating on to allow the adhesive to dry naturally.